LAHORE: Several persons were injured on Friday as police fought fierce street battles with PML-N workers, who tried to reach Allama Iqbal International Airport for welcoming former prime minister Nawaz Sharif and his daughter, Maryam Nawaz. Police, who arrested more than 1,000 PML-N activists, accused them of creating law and order situation. At least six major skirmishes were reported; the most violent and drawn-out street battle occurred at the Jorhay Pull. Over the past three days, police and law-enforcement agencies had been hectically trying to stop the PML-N from gathering a massive crowd outside the Lahore airport. Starting on Wednesday night, local police mounted surprise raids, arresting the party’s notable leaders and elected local body representatives. This crackdown lasted till Friday. Police reportedly took more than 300 PML-N workers into custody while as many as 140 others were held under the Maintenance of Public Order (MPO) law. The city was sealed off by police at more than 50 locations, including entry and exit points, major thoroughfares and intersections near the airport. They also placed barricades and barbed wire in a bid to thwart the PML-N workers. Huge contingents of police and Rangers were also deployed at various localities in the city. Police also closed down the GT Road and Motorway. At noon, when PML-N workers started converging at pre-designated locations, they faced containers blocking roads. Protestors tried to remove the obstacles while police resisted. When the intensity of PML-N workers did not subside, police resorted to tear-gas shelling and baton-charge while protestors responded by throwing stones at them. Police and PML-N activists first faced off each other at Chung. During the clash, protestors manhandled a sub-inspector, badly injuring him. The second such incident was sparked when protestors broke windscreen of a police vehicle near Scheme Mor in the jurisdiction of the Nawan Kot police station. The rally was led by Rana Mashood and Mehar Ishtiaq. The third clash occurred on the Ravi Bridge. 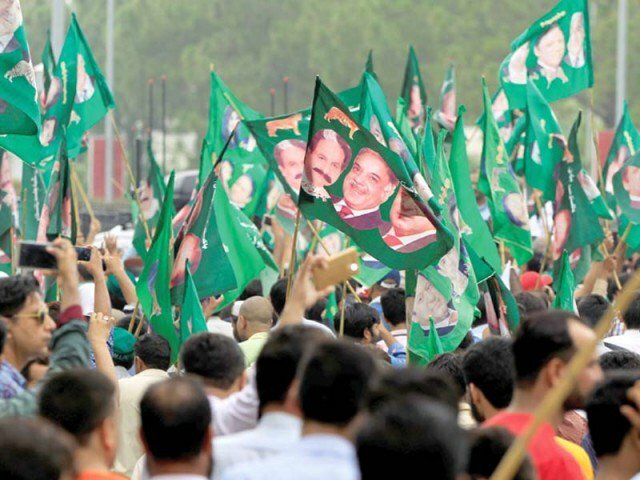 This rally was led by PML-N candidates from Sheikhupura, Irfan Dogar and Irfan Haider. At least six of the critically-injured policemen were admitted to the Shahdara Hospital, SSP Operations Asad Sarfaraz Khan said. Clashes were also reported from Chungi Amar Sadhu, Bhatta Chowk and elsewhere in the city. All these incidents occurred between 3pm and 5pm. 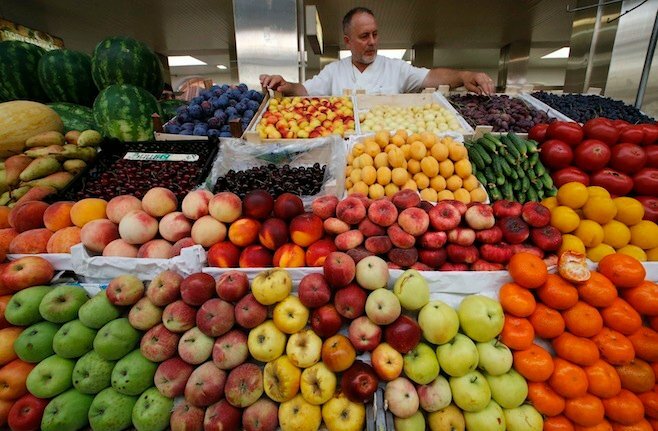 Later, police adopted a policy of retreat. At many locations, they helped remove the containers blocking the roads. However, no one was allowed within a three-kilometre perimeter of the Lahore airport. The rally at the Jorahy Bridge, near the airport, was led by former Speaker of the National Assembley Sardar Ayyaz Sadiq. 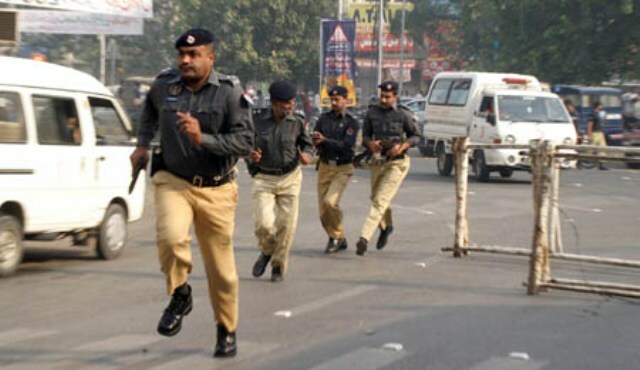 Several policemen, including a DSP, two Rangers personnel and dozens of PML-N activists were injured. This clash lasted for more than two hours. During this time, Nawaz Sharif not only landed but was quickly flown to Islamabad. 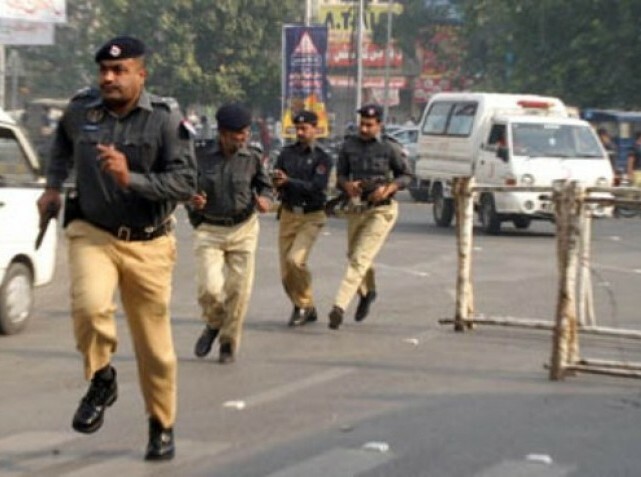 Similar clashes were reported across Punjab, most notably from Sahiwal, Faisalabad, Muridkay and Gujranwala. Meanwhile, a civil society activist, advocate Abdullah Malik filed an application before the Capital City Police Officer (CCPO) for registration of a case against PML-N leaders.